They will always be your spouse, your parent, your loved one, your friend…And remembering them is an important part of continuing your healing. Regional Hospice and Home Care of Western CT offers bereavement support to those who are grieving the death of a loved one. Our award-winning Healing Hearts Center for Grieving Children & Families offers compassionate support in a welcoming environment. People often experience a wide range of emotions after the death of a loved one that may be difficult for them to manage. There is hope in knowing that Regional Hospice and Home Care’s Healing Hearts Center will be there to support family members and loved ones as they cope with their feelings of loss. We will be there to support the grieving process with bereavement counselors who understand listen and offer comfort. As grief is expressed and experienced during this time of sorrow, hope is gained through healing and strengthening and can be enriching to those left behind. 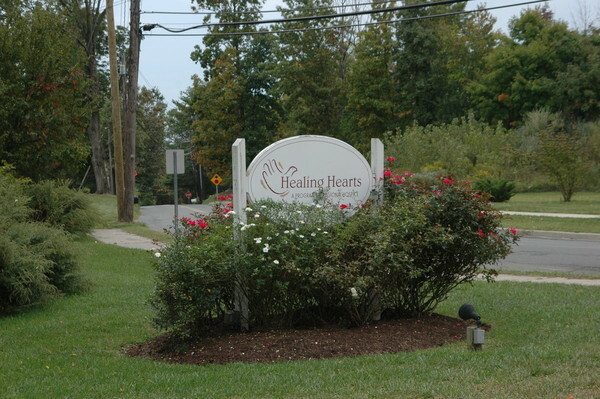 Healing Hearts is a stand-alone center that features a beautiful Healing Garden and Memorial Brick Walkway. The Center offers age-appropriate support groups where children can participate in hands-on interactive activities based on the Dougy Center model, which pioneered the field of children’s grief support. Additional groups help adults manage their grief and learn new skills to cope with the changes and practical challenges brought about by their loss. Anyone in Western Connecticut and nearby New York State who needs grief support can participate in the groups or workshops offered at Healing Hearts. Real hope for support and understanding.